I put on my water activist cap on at the 2013 Slide Night hosted by the Wavescape Surf Film Festival on Wednesday, 11 December 2013 at the Two Oceans Aquarium at Cape Town’s V&A Waterfront. The format was a 10-minute talk to slides on an ocean-minded topic. 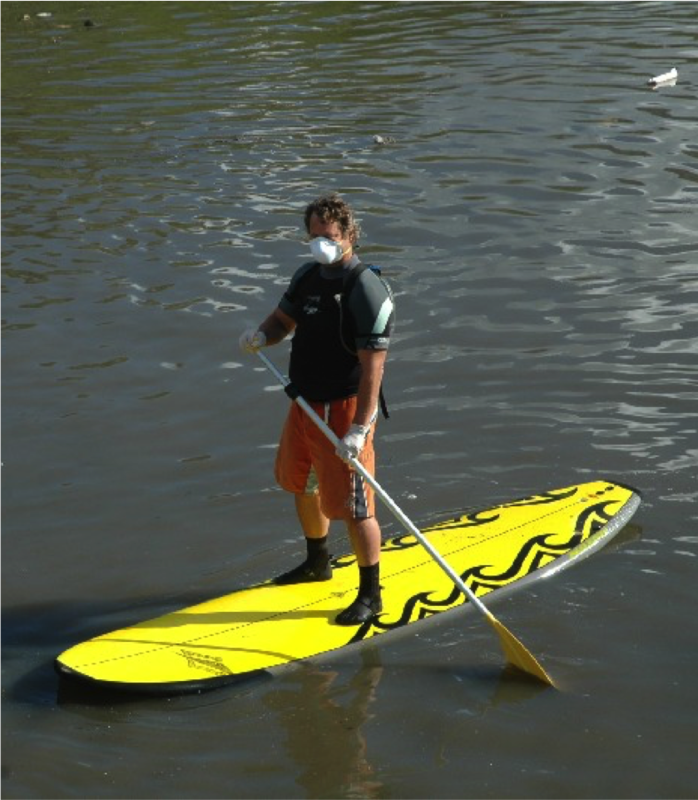 I spoke about the Peninsula Paddle and reflected on my experience of paddling on a stand-up paddleboard (SUP) from False Bay to Table Bay to highlight an ongoing conversation about creating visibility for the polluted state of Cape Town’s inland waterways and coastal waters. 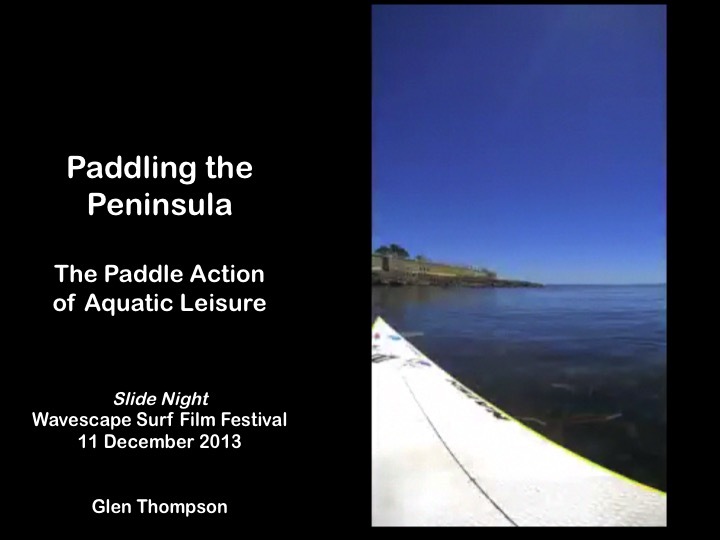 For more on the annual Peninsula Paddle community initiate held in June see their website. 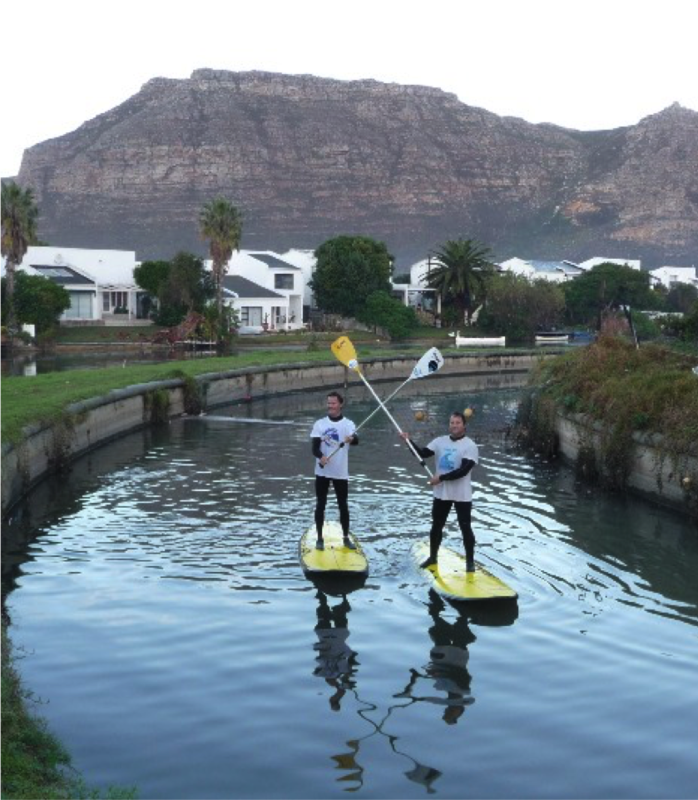 The paddle route via Cape Town’s inland waterways and short sea leg can be seen here.